Frontline care professionals identify people in genuine need to us. Care professionals and volunteers such as doctors, health visitors, social workers, CAB staff, teachers and others are best placed to assess need and ensure people are signposted for the additional support they need. In an average year we are contacted by more than twenty professional agencies and deliver approximately 1000 food parcels. Donations of food, with at least three months best before date, are placed in collection boxes at either The Co-operative Westbridge Park, Sainsbury’s or Waitrose in Sherborne, in the basket at the back of Sherborne Abbey Church and in various other parish churches, community and workplace groups and schools. If your community group does not have a collection point for the food bank we we would welcome you to set one up. Our team of 30+ volunteers carries out a range of duties including collecting food from various donation points, sorting the food to check that it’s in date then picking and packing food into bags for delivery according to individual need. The parcels are then delivered by teams of volunteer drivers to people in need. 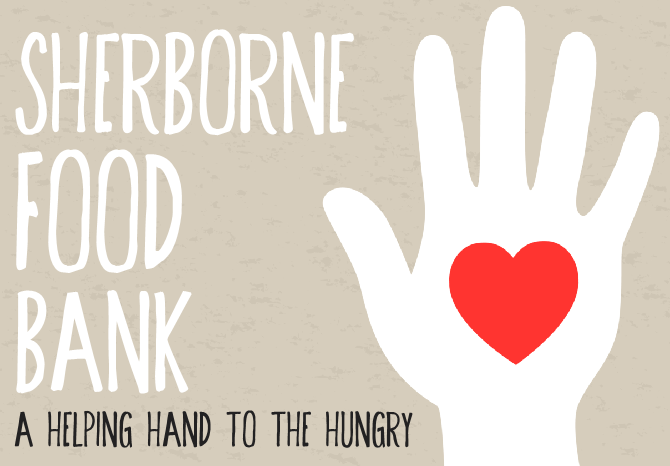 Sherborne Food Bank caters for Sherborne and its surrounding communities from Bishops Caundle to Bradford Abbas, Stalbridge to Charlton Horethorne and beyond. It is a vast area, and we work in full co-operation with other recognised food banks and charities. Serving a largely rural area, we deliver parcels to the home address of clients or by agreement to the agency office which is referring them. Often clients in very rural areas have no access to transport to get to town and our delivery service is crucial. To the Sherborne Times & Katharine Davies Photography for their use of images.